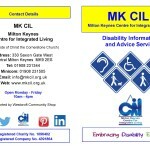 MK CIL ca n provide information and advice on a wide range of disability related subjects and general subjects including mobility, equipment, care, benefits, housing, leisure activities/holidays and social care procedures/pathways. 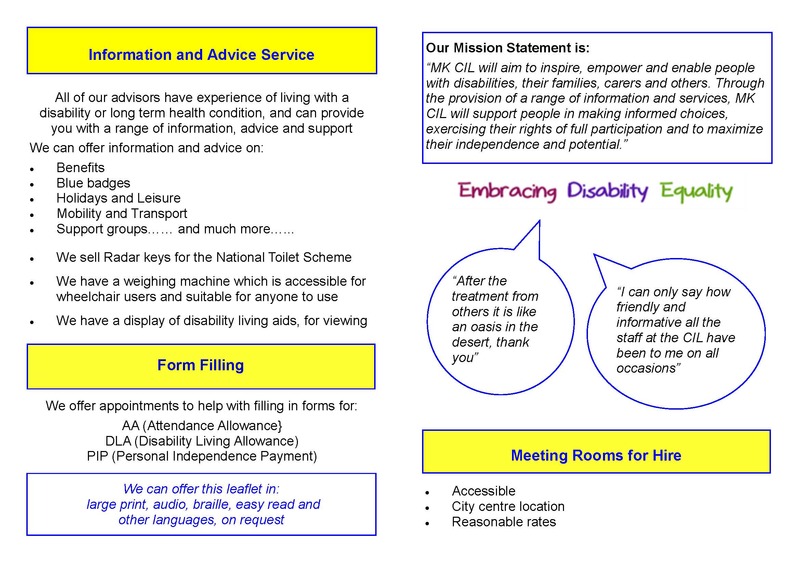 It is a free service for people with disabilities of all ages, their families, friends, carers and professionals. We can be contacted by phone, email, minicom or simply drop in to see us between 10.00am to 4.00pm Monday to Friday. 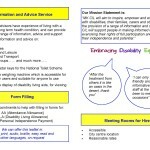 We have a database of local support groups and services and a large leaflet library. These are available free of charge to people calling into the office. 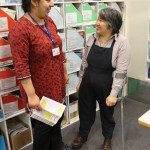 We can also help with form filling for first time applicants of Disability Living Allowance (DLA) for children, Attendance Allowance (AA), Personal Independence Payments (PIP) and Employment Support Allowance (ESA). Please just get in touch to book an appointment. 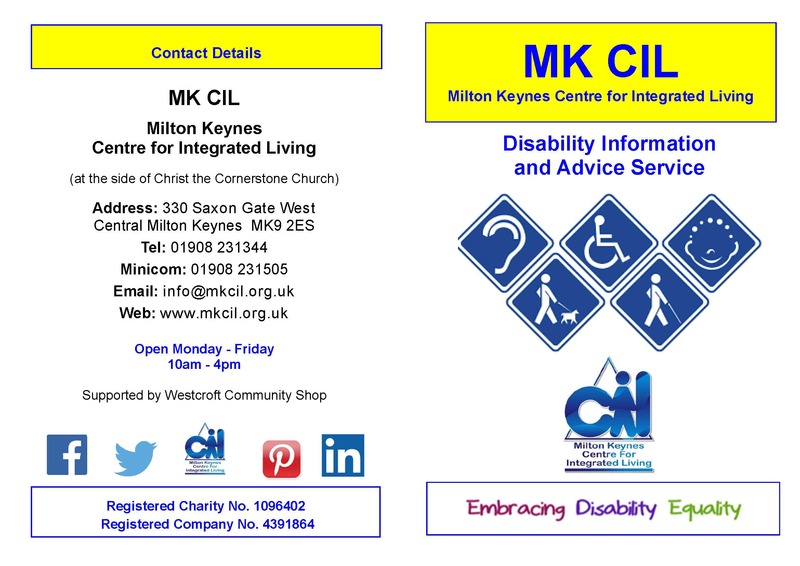 MK CIL works closely with Citizens Advice to help with benefit issues and other complicated enquiries, e.g. legal and housing matters. With the permission of the service user, we can send their details and the nature of the help needed, and Citizens Advice will contact them directly.